Catholic Daughter women enjoy each other’s company at meetings and work hard for their parishes and communities. 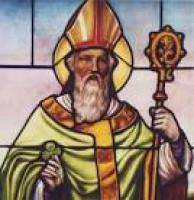 CDA Court St. Patrick meets monthly, on the last Tuesday of the month, at 7:30 pm in the Msgr. Parks Center (use rear entrance). New members are always welcome.